The name Pizza was first noted in the 10th century in a Latin manuscript from Gaeta in Central Italy. Up to date pizza was invented in Naples, Italy and the dish and its modifications have since become popular and common in many areas of the world. 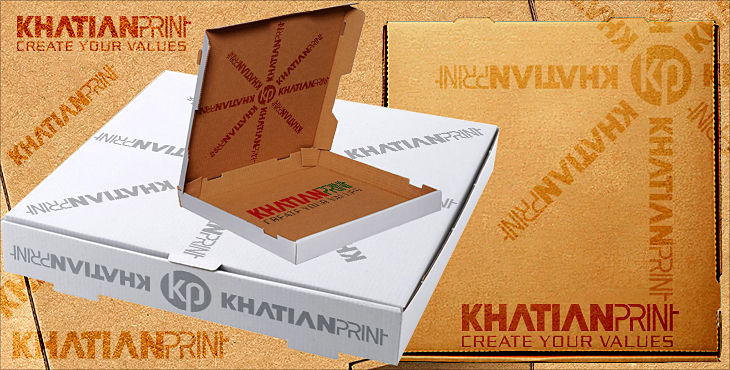 Khatian Print is a Pizza Boxes manufacturer supplier retailer exporter print printing company. The Pizza Box or Pizza package is a folding box made of Corrugated cardboard in which Pizzas are stored in for carry away. It also makes home delivery and takeaway significantly easier. The pizza box has to be highly resistant, cheap, thermally insulated to regulate humidity and suitable for food carrying. It provides space for promotion as well. Pizza delivery is a service in which a pizza producer delivers a pizza to a buyer using pizza boxes. 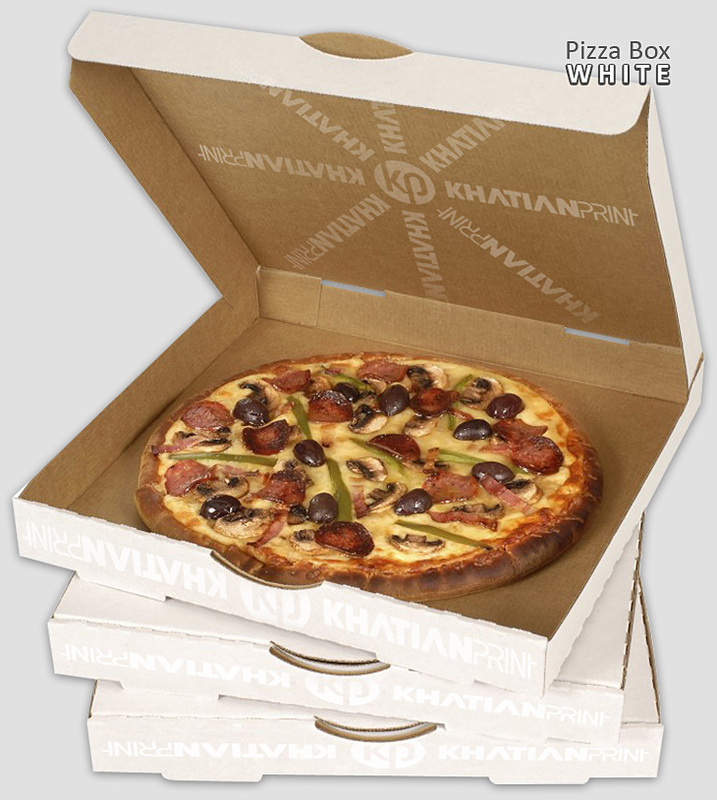 We produce and sell abroad Pizza Boxes from Dhaka Bangladesh BD. 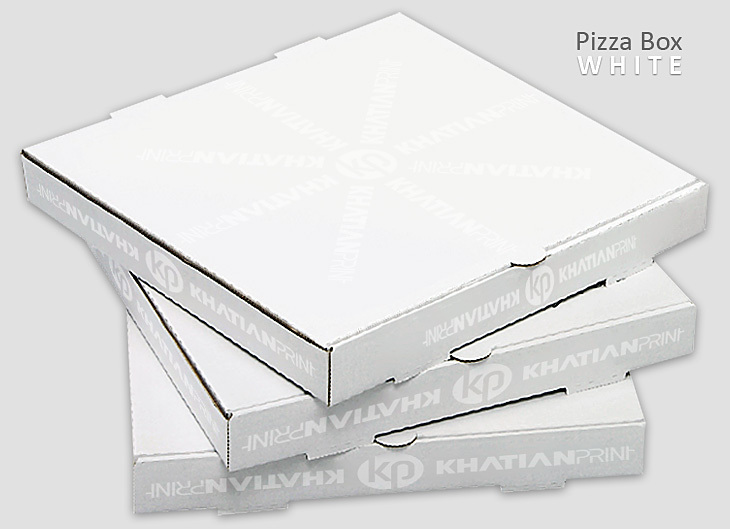 8" Inch, 10" inch, 12" in and 14" inches Pizza Boxes are available in ready stock. 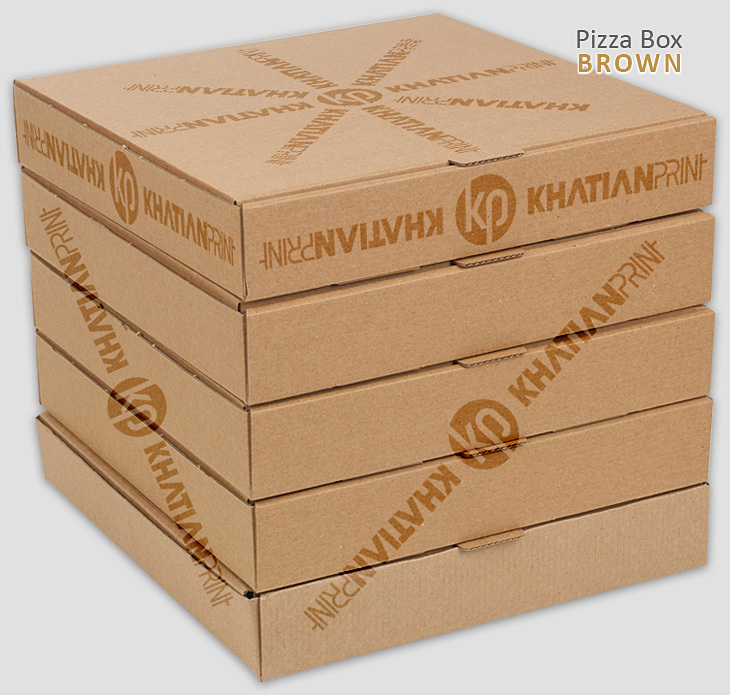 Equivalent to 20.3 Centimetre, 25.4 centimetre, 30.5 cm and 35.6 centimetres Pitza Boxes.